This racing-inspired legend could be yours and has fewer than 900 miles on the clock. 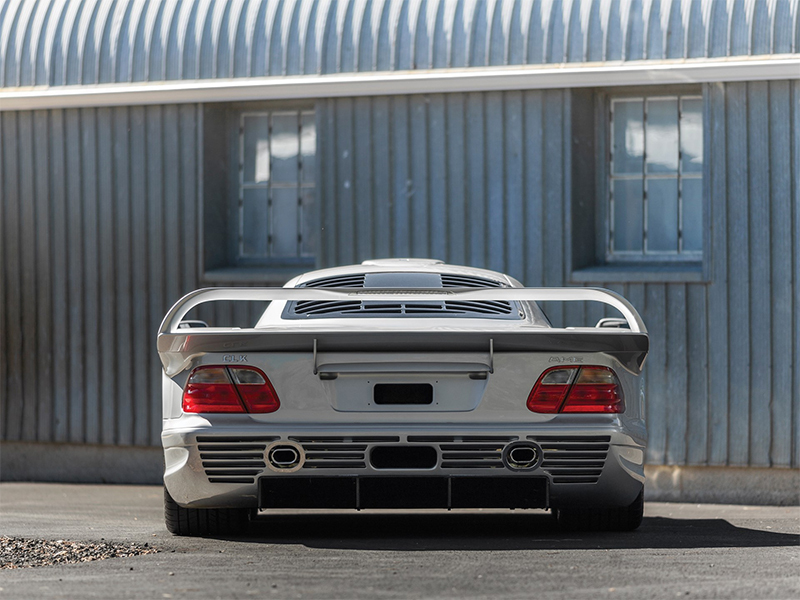 Now is your chance to own a rare piece of history that you probably can't afford, a Mercedes-Benz AMG CLK GTR. 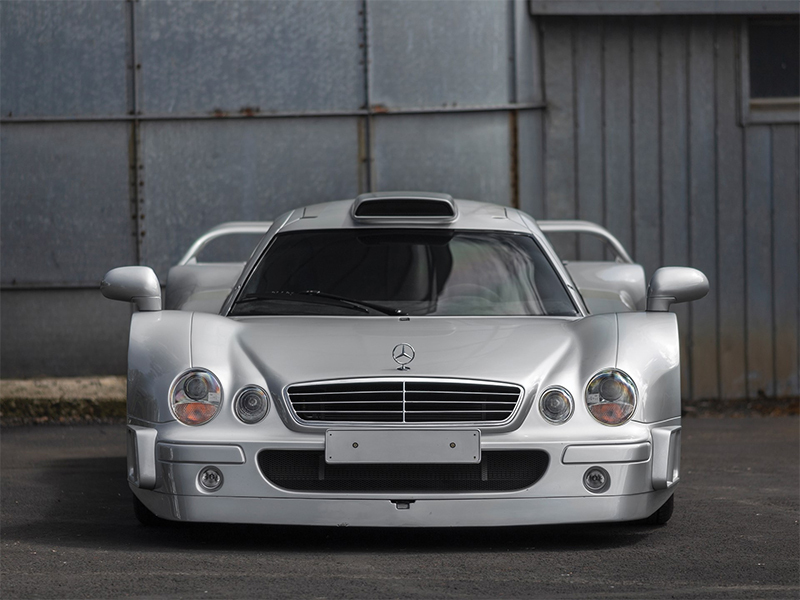 This Saturday, Aug. 25, RM Sotheby's will be bringing one of just 25 CLK GTRs ever created to Monterey so it can be auctioned off to the highest bidder. And if you happen to be in the top ranks of society, it could be the next track day toy in your garage. Let's play out a scenario in your head. It's the tail-end of 1998 and you're filthy rich in the midst of the dot-com bubble looking to buy your next car. Of course, you're already quite versed in both money and culture; so clearly you can't be seen in public behind the steering wheel of a layman's Ferrari F355, and your father would turn in his grave should you buy a Lamborghini Diablo. What you need, is a Mercedes. 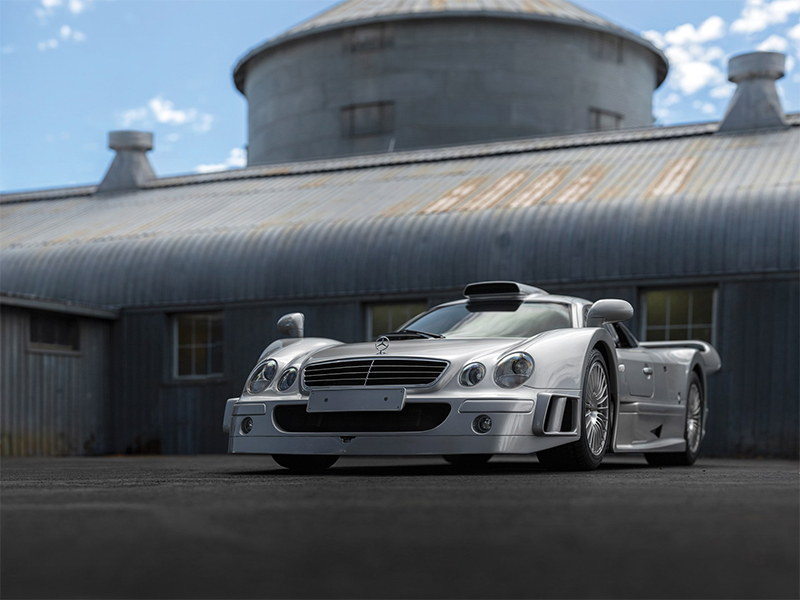 But not just any Mercedes, one drivable on the street, but still built to take on the race track and, of course, has the tri-point symbol of wealth floating above the hood. 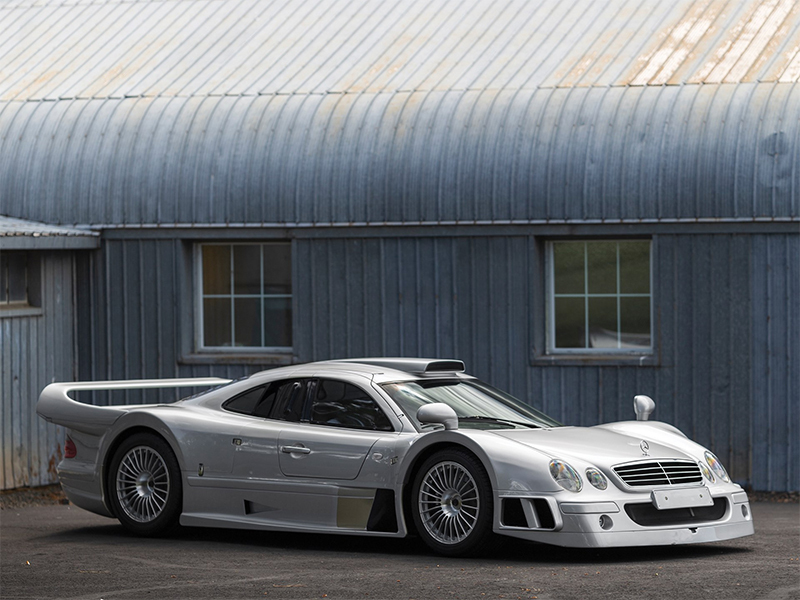 You're buying a Mercedes AMG CLK GTR. 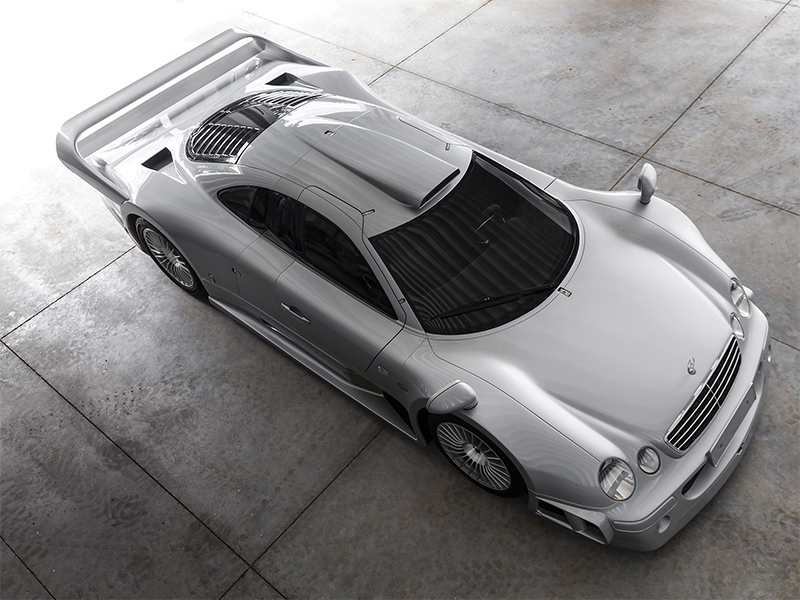 The CLK GTR was designed in record time. 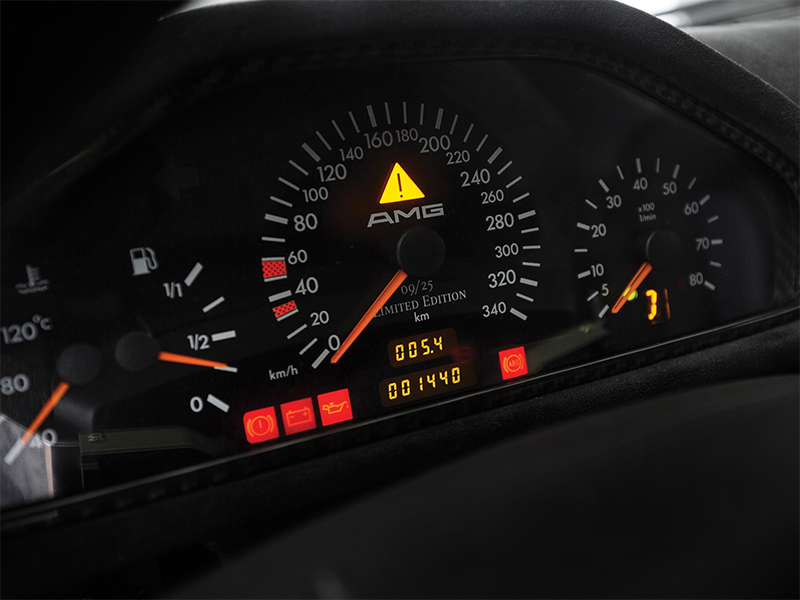 From a sketch on paper in late 1996 to a testing concept in only 118 days, it was one hell of a machine for Mercedes to crank out in such little time. 10 days later, the automaker would bring the car to Spain and the world would soon hear of a Silver Arrows victory for the first time since 1955. 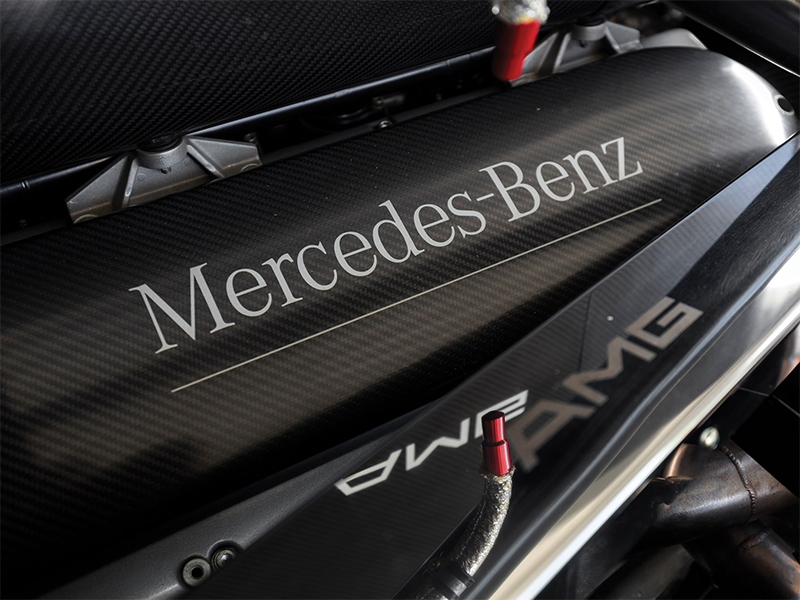 The Germans plucked the 6.0-liter V-12 engine from the production model S600 and SL600 and customized it in cooperation with both in-house performance division AMG and partner Ilmor Engineering, increasing the displacement to 6.9-liters. 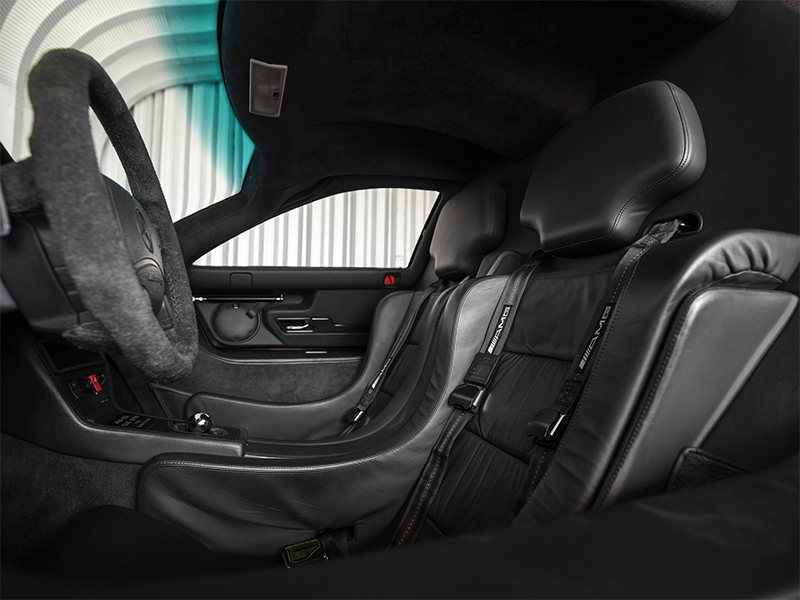 The stout platform produced 612-horsepower and a peak of 568 pound-feet of torque at a staggering 7,000 rpm and its rear-affixed engine was mated to a six-speed paddle shift sequential gearbox. 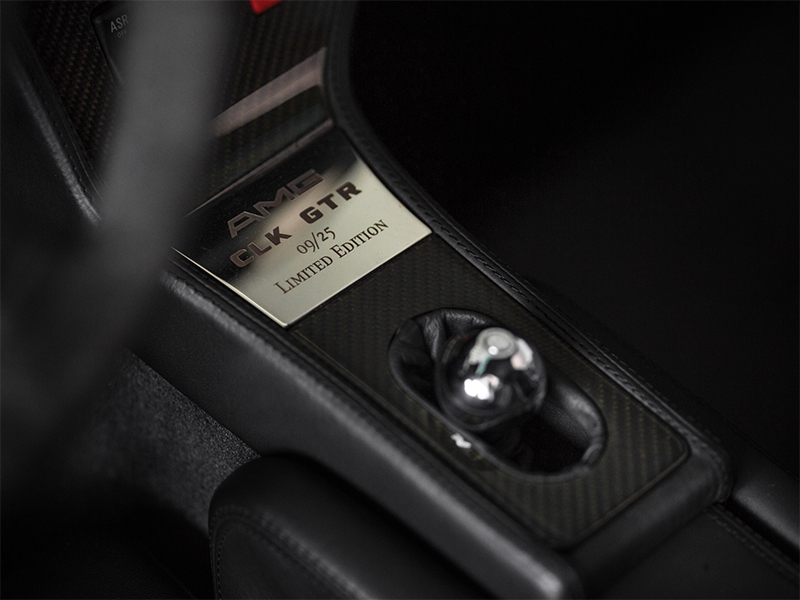 Combined with the roar of the 12-cylinder engine, produced sounds both angelic and hellacious together in harmony. 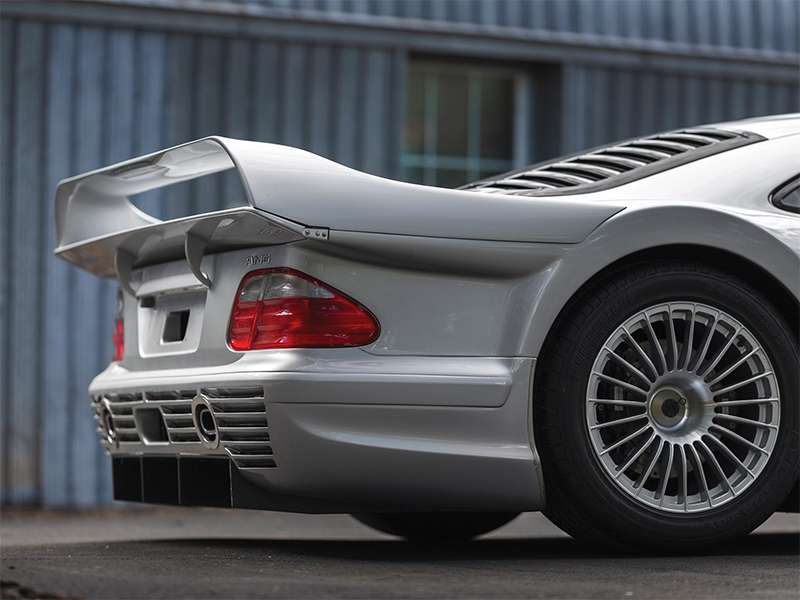 Once word reached the public of the new track legend, Mercedes began collecting letters from interested buyers in the road cars before they were even built. 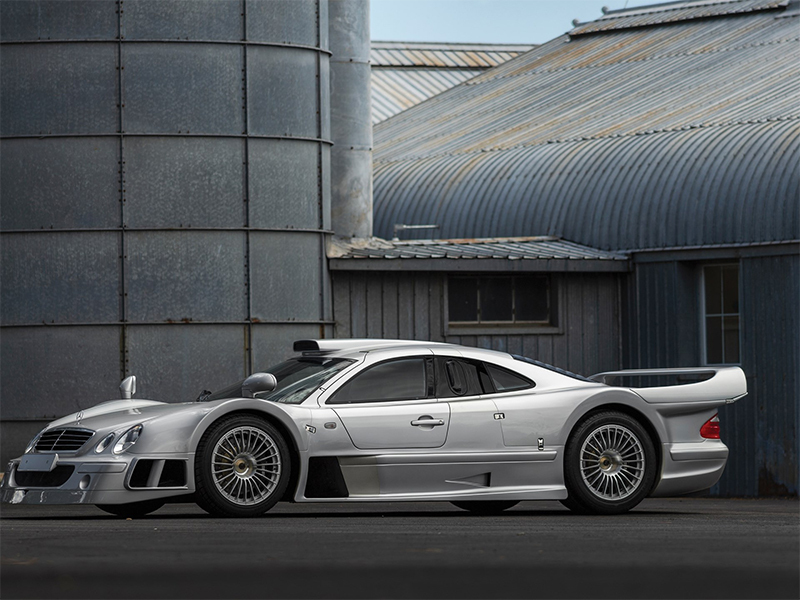 More than 300 potential customers attempted to purchase the CLK GTR, however, that wasn't happening. 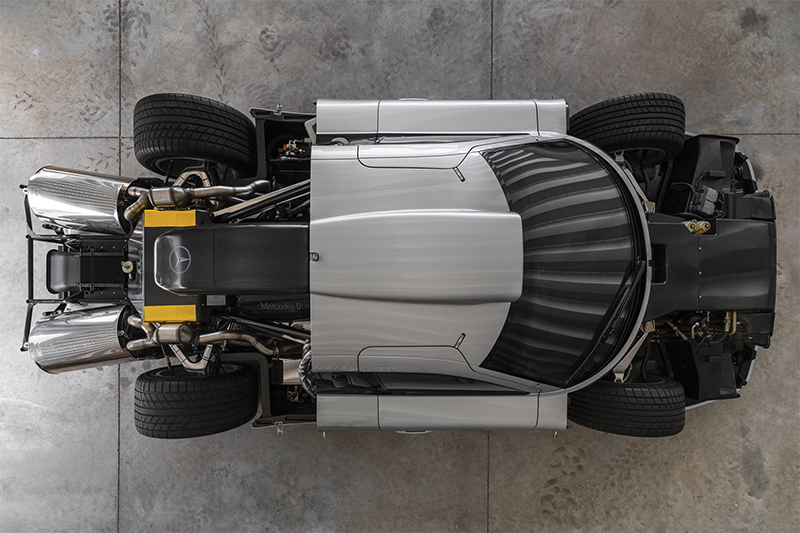 In order to comply with Fédération Internationale de l'Automobile (FIA) standards, Mercedes would only need to build 25 examples of the car, and nearly two years later, they began to do just that. The one-off batch would be delivered during between winter 1998 and summer 1999. This particular example is branded serial 9 of 25, but is actually much rarer than that. Only 20 coupes were actually built; four cars have tartan interior (one of which was the only right-hand-drive example) and three cars were painted colors other than silver. This makes this particular configuration one of just 13 in its particular configuration, all with only 1,439 kilometers (894 miles) on the odometer. 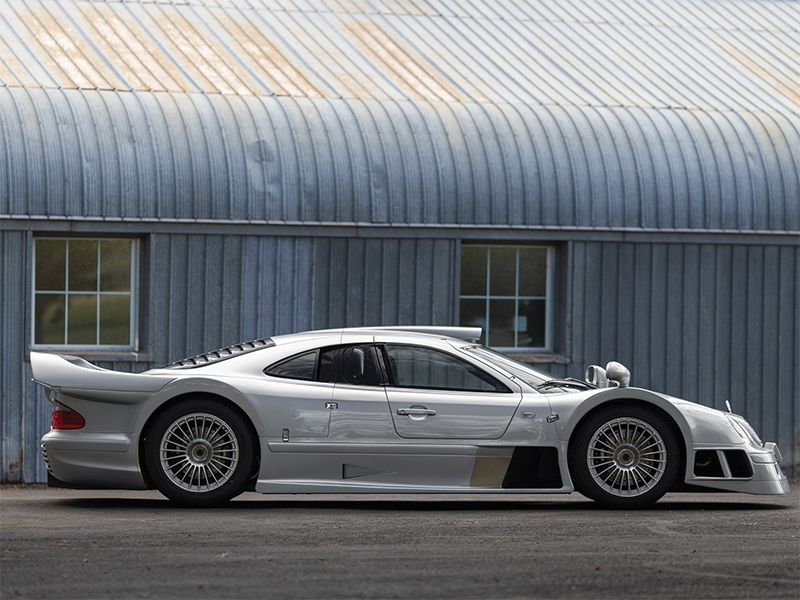 Upon its release, each car sold for around $1.5 million (1,175,000 British Pounds). In today's money, that's around $2.3 million, or a tad less than a Bugatti Chiron. 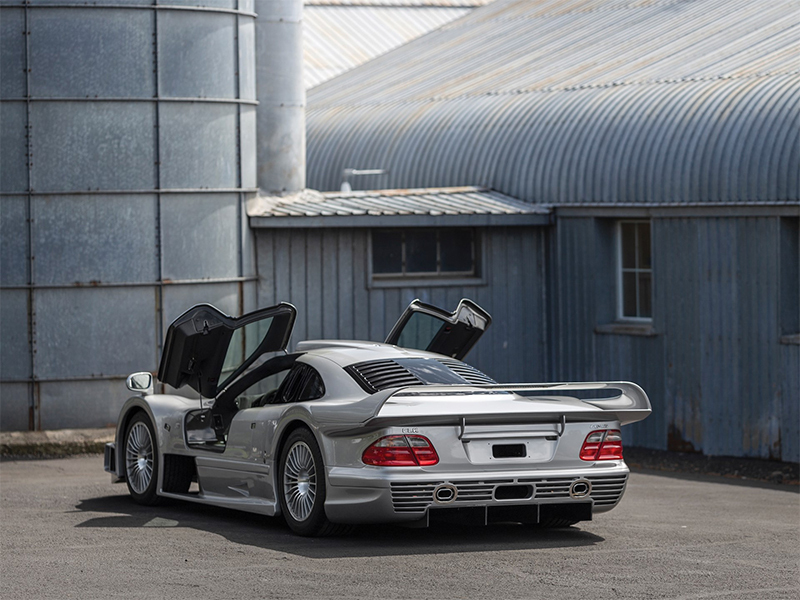 Sotheby's anticipates this car to fetch between $4.25 million and $5.25 million, a large jump from the two right-hand-drive cars it sold in 2009, both of which sold for less than $1 million. 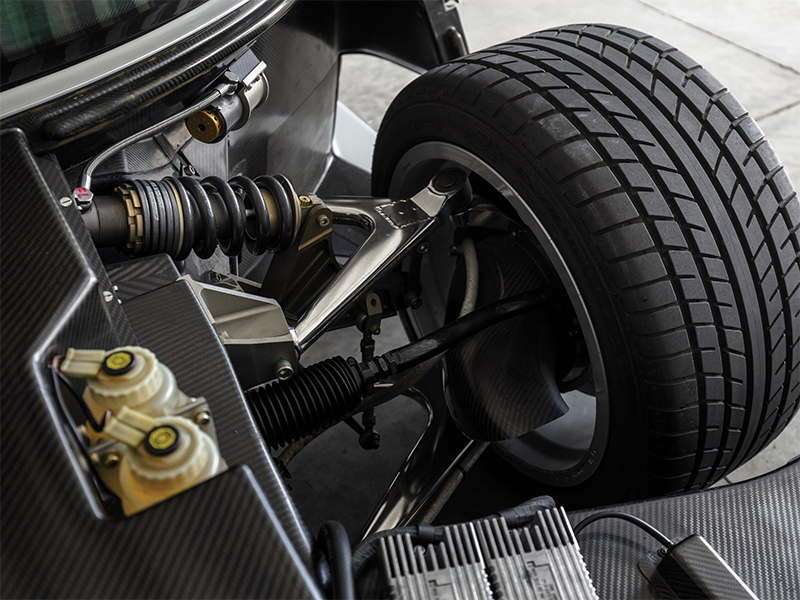 The Apollo IE was created as an homage to the 1990s GT1 race cars, and now one of the most iconic DTM teams has its hands on it. There's rich, and then there's this. It's one of only 349 produced for the United States. Surprisingly, this didn’t happen in Russia.